Mickey and Minnie Mouse along with Donald and Daisy Duck, and the rest of the gang, go caroling. Enjoy the spirit of the season with this festive light-up statue. Handcrafted in incredible detail, this "Carved by Heart" scene combines the magic of Disney and the artistry of Jim Shore. 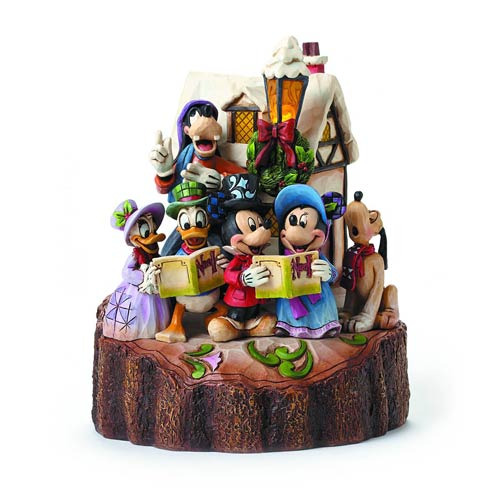 Made of stone resin, the Disney Traditions Carved By Heart Statue measures 7 1/4-inches tall. Ages 13 and up.